Hair are the identifying characteristic of mammals on Earth. 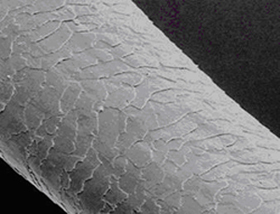 Hair grow beneath the epidermis from hair follicle. Taking care of your hair is important, in spite of daily busy schedule. Voluminous hair gives one a good look together with the boost in personality and highlights your pampering nature. In rushing hours, where looking good in health and attire has become a need, we are forgetting the most important part of your look. Oiling your hair is one of the best workout for your curls to grow and gain strength. Although the method of applying and usage of oil has evolved, oiling for long and strong hair is still followed from the ancient times. The scalp has its own way of generating natural oil providing nourishment to growing hair. The amount of hair oil applied then becomes a concerned matter. Too much of oil block pores on scalp through which the sin breathes and the oil is absorbed. It is thus advised to use warm oil for massaging. Massaging hair roots with castor oil, olive oil or even the most common one, coconut oil boosts the hair growth along with supplying the essential elements. Keeping oil massaged overnight will help in the absorption of oil. As the invent of luxury oils, the old trend of using greasy oil is outdated. What people want from hair oil is the nourishment, which is provided by oil which are latest in trend. For example Moroccan Argan Oil, Tea tree oil, Hibiscus oil, Jojoba oil. These hair oil are rich in Vitamin E and balances the ph level of the scalp. Luxe oil do not require excessive massaging but applying them before an hour of washing helps to add the volume and to regain the strength lost due to various chemical treatments. A small amount of oil is needed as compared to the oil previously used. Oiling hair regularly is the most effective treatment towards hair problems. Hair problems, which include hair loss, split ends, frizz, dullness, thinning and graying of hair, has a single solution – Oiling. Although, Excessive hair loss should be reported to dermatologist, who instantly gives you a solution by just checking the condition of your scalp. Here are the top benefits of oiling hair regularly. Hair grow when they are given enough nourishment to sustain. Although, hair is just a protein strand, it also require regular feed of vitamins and other essentials. Massaging twice a week will regain whatever hair loses in the process of curling, ironing and chemical treatments. Oil acts as a replenishing agent. Massaging helps in opening of pores and better absorption of oil. It also facilitates blood circulation and thus soothes and relaxes you. Oiling strengthens roots and leading to healthy hair growth. 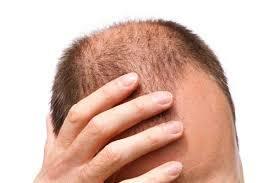 Clogging of pores on scalp can have minor to major problems when they get contaminated with bacteria or fungi. These bacteria and fungi provides nourishment and gives suitable environment for hair lice growth and dandruff. And can be the major cause of hair loss or hair fall. 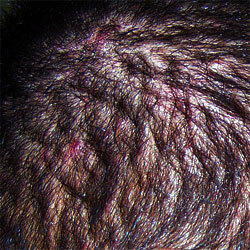 If the scalp is getting tender and there are some red spots you must visit a dermatologist. Along with the scalp, hair can get red. Although, bacteria is present all the time but the one mentioned is scalp-friendly. Irritation on scalp and redness can be the result of some harmful bacteria replacing normal one. Regularly oiling hair with honey gives you anti-bacterial treatment and provides scalp the necessary elements to stay healthy and well hydrated. Massaging scalp and hair with lukewarm oil helps rejuvenate the loss due to chemical treatments. It also relaxes nerves in brain, thus facilitating blood circulation in head area. Regularly oiling hair before washing, and keeping hot towel wrapped around the head for 20-30 minutes will help better absorption by strengthening the roots. Our brain is the origin of all our activities, and oiling help to soothe capillaries and nerves in brain. Relaxation of mind and body is done through massaging, and scalp massage is one of them. You can use thick oil or luxe oil for this. The rapid increase in hair growth in around two months can make you never leave the habit of massaging scalp regularly. Eyesight tend to improve by regular oil massaging. Hair is a protein strand that has its roots beneath the epidermal cells. The hair follicle is nourished by oiling regularly. Hair become brittle and leads to baby hair due to weak hair protein. Hair oil such as castor oil, almond oil and olive oil help to regain the old strength of the protein. The hairshaft is prevented from harm and is nourished. The frizz and brittle nature of hair is reduced with the help of vitamin E which is the major component of the oils used to massage scalp. Strengthened hair falls less with their bulbs and are less vulnerable to heat destruction. Split ends, being the major hair problem is reduced when the hair protein is helped to grow from root to the tip. Who doesn’t want shining hair? Shine is the most attractive feature of healthy hair. Hair shine when they are healthy. By Healthy, we means hygiene and nourishment. Hair when destroyed due to heat causes split ends and becomes brittle. The thickness of the hair is lost and is unevenly distributed. Untreated split ends grow giving rough look to hair. Aloe vera along with cold juices and curd helps in obtaining better shine than before. It can be applied with oil or as a hair mask. Regular oiling keeps hair well stranded in a single thread than like lint of thread. Oil keeps the split hair together and nourishes it from outside thus giving lustre and shine to your curls. Dandruff is the result of dry scalp. Dry scalp stretches and breaks causing dandruff. Dandruff cause itching on the scalp and at hair roots, thus resulting in hair breakage and hair fall. Dandruff is thus the major cause of hair fall. 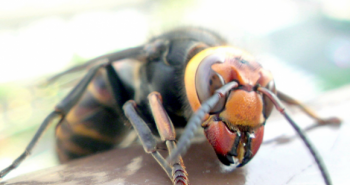 Environment pollution also plays a role in worsening the situation. Also, lice are likely to grow in such situation. 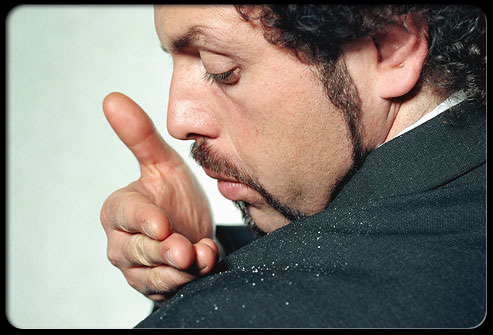 Dandruff leaves scalp and can be found highlighting on dark clothes. These are dead cells that makes one embarrassed about one’s personality. Continuous irritation and scratching may give you bad hair volume. People with dry scalp usually suffer dandruff and should thus massage hair and scalp with good amount of hair oil. Oil secreting glands present at the epidermal cells of scalp produces no or low natural oil in presence of dandruff. Massaging help these glands to produce oil keeping the scalp nourished. Although too much of oil can hinder the growth, regular washing off with mild shampoo and using quality conditioner can then help you cater this problem. Premature-greying of hair is common in youngsters and adults. It occurs due to lack of vitamins and protein in the food digested. However, there may be reasons genetically that leads to graying of hair. Melanin present in the skin gives hair its color, as it does to skin. Melanin is a skin pigment that decides color of hair. High amount of melanin present in scalp gives dark color to hair while its lack causes graying. 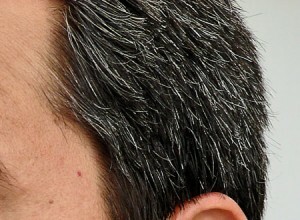 It is the deficiency of Vitamin B 12 that results in graying. Regularly oiling and massaging thus helps to retain the color of your hair, and thus giving you black and shining hair. Also, hair are prevented from harmful rays of sunlight by forming a protective sheath around the hair protein. UV rays are blocked by the oil that nourishes hair. Nourished hair are more resistant to harmful rays. Although there are a number of other benefits of regularly oiling and massaging, it provide basic nourishment for hair growth. Oil act as lubricant on hair preventing it from harsh environment. Hair oil is a necessary for volume and strength, it is thus called the grandma’s treatment. Oil you hair regularly with luxe oils to see the change yourself. 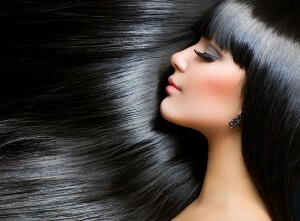 Hi, Really a great information about benefits of oiling your hair. Recently i viewed a video on search through oiling benefits – similar information but briefly explained. for more info go through this url – http://www.jivayush.com/blog/6-benefits-of-oiling-your-hair-daily/.